Perfect Bound Books Short Run Fast Turn. 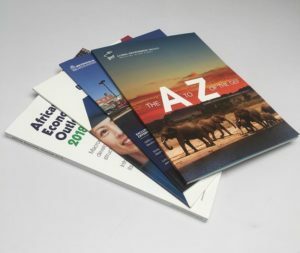 Professional Graphics Printing has the ability to print and bind your short run on-demand perfect bound books. You may run these as needed so there is no waste on over-runs. Our specialty is high-quality perfect bound books with both, color and black and white printing. We handle the entire process in-house from preparing your files to printing and binding. This control allows us to turn around your books in just a few days, or less if that is what you need. We can accommodate runs of just a few books up to hundreds with our digital printing equipment. With proper planning, it’s possible to print, bind and deliver your job on the same day. The process is simple and fast — just upload your files to begin your order. All covers are crease scored off-line to make a precise up and down score for both the spine and hinge scores. This is why our books have a very square, clean crisp spine. The hinge score gives the added protection to the integrity of the spine. Our skilled craftsmen value the importance of producing a quality product. When you love the work you do, it shows. We understand the importance of producing a quality product that is delivered on time. Whether it is for a planned meeting or last-minute delivery to an airport for a business trip. We can also help you fulfill your shipping needs to worldwide locations. Our standard size is 8.5 x 11” finished size but we can accommodate other larger and smaller sizes as needed. We can also bind thin perfect bound books with 40 pages or less. If you are using your perfect bound books as a trial run for a future larger print run we can help you as well. We have offset presses that keep the costs down once you start running thousands of books.